At a meeting of the "Petro Poroshenko Bloc" faction (BPP), President Petro Poroshenko announced the need to pass a bill on securing sovereignty over temporarily occupied territories of the Donbas and agreed that the document should include the issue of Crimea, the members of the faction informed after the meeting. 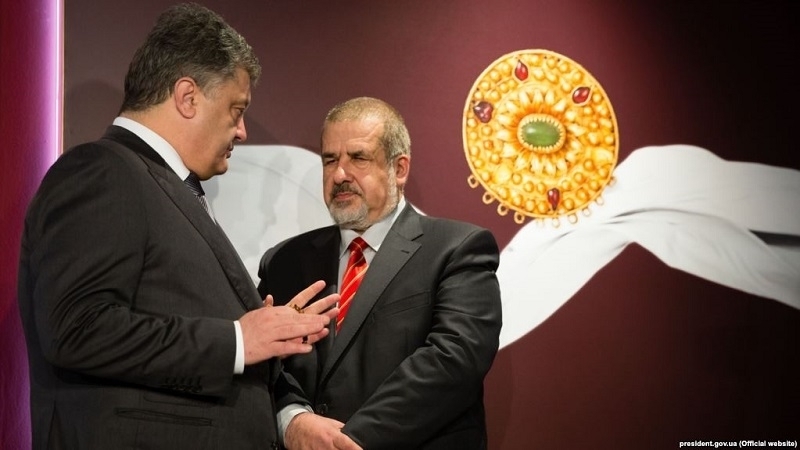 In particular, People's Deputy Refat Chubarov confirmed that the President gave his consent to the suggestion that the bill should also contain the "Crimean issue". The Verkhovna Rada failed to continue consideration of draft laws on the reintegration of the Donbas. In connection with the blocking of the podium, Speaker of the Verkhovna Rada Andrey Parubiy closed the session of the Parliament. After that, President Petro Poroshenko urgently arrived in the parliament, where he held a meeting with the BPP faction. Earlier, the Committee on National Security and Defense supported the amended presidential bill on self-government in the Donbas. According to the bill, the special status of certain areas of the Donbas will be extended for another year, but after fulfilling all the conditions specified in art. 10 of the Law "On the special order of local self-government in certain areas of Donetsk and Luhansk regions." In particular, after all illegal armed formations and military equipment are withdrawn. Furthermore, the committee proposed to the Verkhovna Rada of Ukraine to adopt a bill in which the words "the Minsk Protocol (September 5, 2014), the Minsk Memorandum (September 19, 2014) and the Package of Measures (12.02.2015)" are replaced by the words "UN Security Council resolutions adopted in connection with Russian armed aggression against Ukraine in Donetsk and Luhansk regions ".